Get rid of the skin tags with a pain free cosmetic treatment. Skin tags are actually benign tumors, they’re usually completely harmless. Generally, they’re caused by skin rubbing against skin. 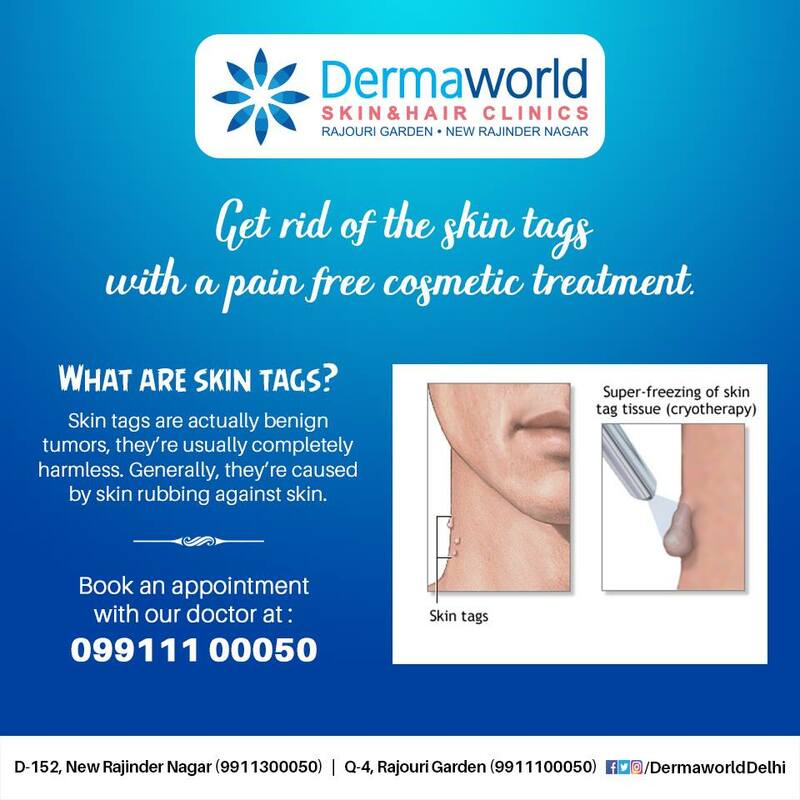 This entry was posted in Social and tagged dr rohit batra, get rid of skin tags, skin tag removal, skin tags. Bookmark the permalink. ← Get a new and fresh look with the Hair Transplant at Dermaworld Skin And Hair Clinics.